Sispony is located 2 minutes from the center of La Massana where there is all the necessary services for day to day as well as access to the ski resort of Vallnord and 7 minutes from the center of the capital. Just entering the apartment we are surprised by its luminosity and the wide spaces, the rustic style and its natural environment make it a perfect property for lovers of nature and tranquility. 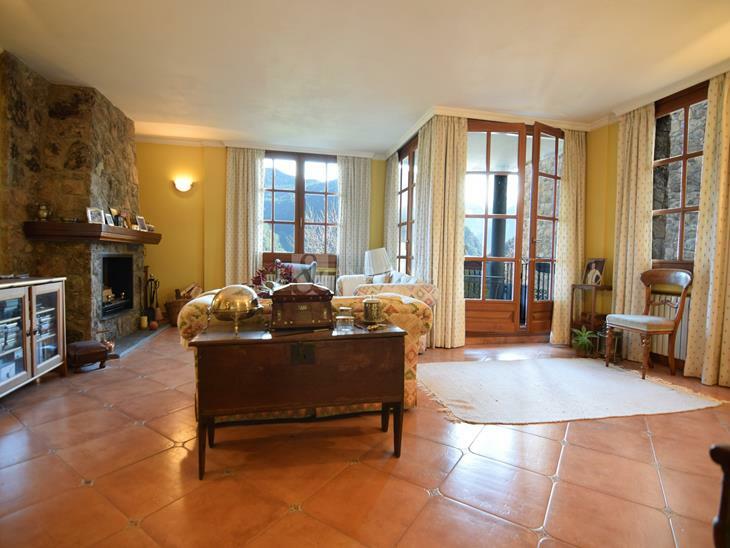 It has a garden of 80 m2 of private use where you can enjoy with family and friends. On the first level there is a semi-open kitchen with breakfast bar and access to the laundry room. The large living room with fireplace that brings warmth to the entire home, a balcony that allows us to enjoy the unbeatable views of Casamanya and the town of Anyós. On the second level we find two exterior double rooms, one of them is a suite with private bathroom with bathtub and access to the terrace. A bathroom with shower, all rooms have fitted wardrobes and parquet. The property has a parking space and a storage room in the same building.